Singapore’s Kun-Xian “Xian” Ho has won two championships at this year’s Canada Cup 2012, a fighting game tournament held at Calgary, Canada. He finished first for the Super Street Fighter IV: Arcade Edition 2012 (AE2012) and King of Fighters XIII (KOF13) tournaments. 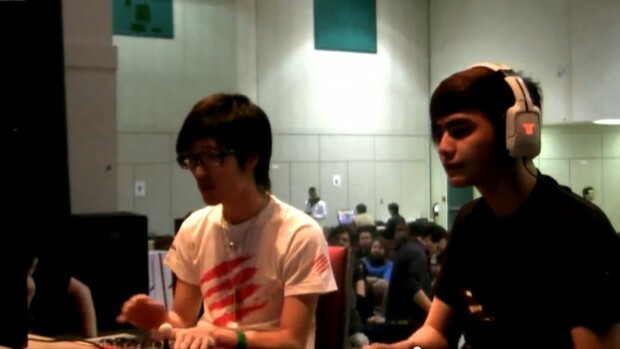 Xian also took part in Persona 4: Arena (P4U) where he obtained 4th place, and Ultimate Marvel vs. Capcom 3 where he finished joint 13th place. This is Xian’s strongest finish on the international stage, surpassing his previous performances at Tougeki ’10 and Shadowloo Showdown 2011. His victory at Canada Cup 2012 also redeemed him from the disappointment of EVO 2012, where he was knocked out early in AE2012 and missed out on the top-32 for KOF13. For the grand finals of AE2012, Xian (using Gen) went up against one of Japan’s top players, Kenryo “Mago” Hayashi (using Fei Long). Mago, who entered the finals from the loser’s bracket, took the first set 3-1 to reset the bracket. However, Xian managed to bounce back in the second set by making full use of Gen’s ambiguous mix-ups, winning by a convincing 3-0 score to secure the AE2012 championship. In the KOF13 grand finals, Xian (using EX Kyo/EX Iori/Mr. Karate) faced another strong Japanese player, Hajime “Tokido” Taniguchi (using Kim/Hwa Jai/Iori, later Mr. Karate/Hwa Jai/Iori). Xian, coming from the winner’s bracket, managed to take a 2-1 lead, forcing Tokido to modify his lineup and switch out Kim for Mr. Karate. But Tokido still had no answer to Xian’s solid reads and defensive options, and Xian managed to win by a 3-1 score to take home the KOF13 tournament. For Persona 4: Arena, Xian (using Yukiko) was knocked out early into the loser’s brackets, and just barely missed out on the loser’s finals when he lost to America’s Alex Valle (using Akihiko) by a score of 1-2. 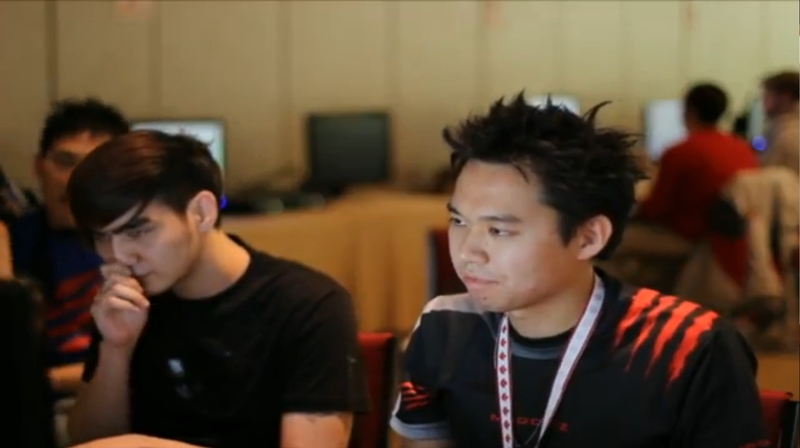 Valle went on to win third place, and the tournament was eventually won by Tokido (using Mitsuru). Canada Cup 2012 standings and match results taken from this Shoryuken article.